Monica Parks, 43, of Easley, S.C., has been working as a traveling nurse since 2007. Q. Why did you decide to do this for a living? A. 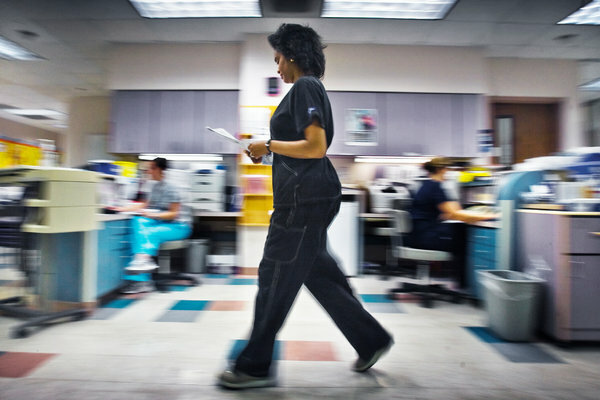 Traveling nurses work in different locations for weeks at a time. I like the flexibility of being able to pick where I work and take jobs when I want. This work pays well. I get to work in different environments, and I’m not involved in the politics you might find in a staff job. How do you get assignments, and what about living arrangements? There are agencies that cater to nurses and doctors who want to travel around the country for work. I’ve had contracts that run from six or eight to 13 weeks, and they’ve often been renewed. Traveling nurses are often needed to fill in for people who are out. A hospital will either offer lodging or pay a lodging stipend so we can find our own housing. Doesn’t it get lonely working away from home? Not at all. I make friends wherever I go. I’m working in South Carolina now, so I’m close to home. But this summer I worked in Washington, D.C. There’s so much to do there, and I got together with colleagues all the time. One was from the South, like me, and had several of us over for a Lowcountry boil — corn, potatoes, shrimp, sausage and crab legs. I was a staff nurse in the trauma unit of a South Carolina hospital for 14 years. I felt like I saw just about everything there is to see. After that experience, I’m confident I can work in a lot of areas, but my specialties are the operating room and gastroenterology. I’m given some pretty responsible jobs. I was also at the D.C. hospital before this last assignment there, so they knew me. This summer, a nurse manager going on medical leave asked me to train three nurses on nursing fellowships. But aren’t you away from your family for several weeks at a time? That’s the beauty of this type of work: I look for contracts at hospitals and outpatient centers that aren’t too far from home. This summer, my husband and our two children, 16 and 12, stayed with me in my D.C. apartment. My husband works from home, so he was able to work when he was there. When the kids started school, I drove to South Carolina every other weekend. I do the same thing as anyone else whose job takes them out of town, or who lives in one city but works in another.